Pro Tools | Is This What The New Mac Pro Could Look Like? 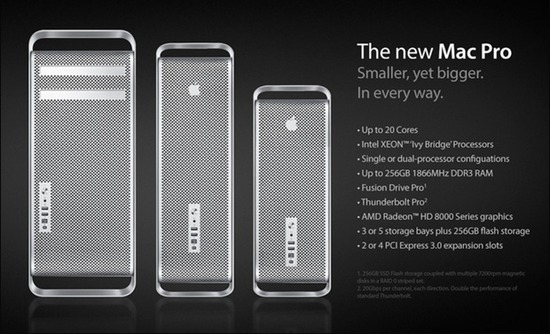 Is This What The New Mac Pro Could Look Like? I don’t fancy his chances much after our article regarding Logic Pro garnered more misquoting and hatred from Apple fan boys than a Westboro Baptist funeral party. However, he does ask a serious question regarding Apple’s investment into pro computer and if they need to bother, if nothing else then the concept drawing can keep us dreaming.